As I look at my children and think about their educational future, I often wonder, how will they (or us as a family) afford all the expenses. Recently, I attended a college fair as a school representative and the dollar figures are staggering. From tuition to boarding, the expense is mind blowing. When there is an option to save on any educational expense, I want to learn more. Campus Book Rentals offers a system where education doesn't have to break the bank. Renting textbooks can save you a lot of money, and is a far superior alternative to buying your books. You can rent your textbooks without the risk of your books becoming devalued by the end of the semester and of course, you can easily rent them online. 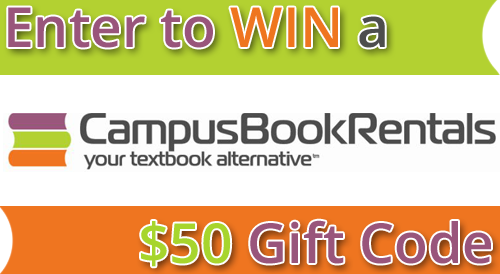 Over 1 million customers rent textbooks from us at over 5,500 college campuses across the nation. Join the movement, pay less for your college books, and save your hard-earned money. Why Choose CampusBookRentals.com? We have an excellent support staff and we're always only a phone call away. We're one of the pioneers of the textbook rental movement. The textbook rental movement happened in the summer of 2007, and originally there were only three companies. We were one of the originals. You save a lot of money when you rent textbooks. And if you want to keep your books at the end of the semester, just pay us the difference and the books are all yours. If for any reason you change your mind about your book(s), you have 30 days to return them for a full refund. RentBack.com, which is our new initiative that allows students to rent the textbooks they own - to other students. This is awesome because it makes them 2-4x more money compared to what they'd make through buyback options! The Giveaway will open up on 10/1 12:01 am EST and Close on 10/4 at 11:59 pm EST. Side note...It's not mandatory to enter all the giveaways at each blog. Those are just great bonus giveaways for you to enter. Mission Giveaway started with Madame Deals and her $100 story where with $100 several people received the help they needed. We are on a mission to help people help each other! We have gathered a group of bloggers that want to make a difference. Together we are Mission Giveaway! To ask about becoming a sponsor, please contact Amee or Dawn at madamedealsmedia@yahoo.com for details. Take a look at our Media Kit to see what Mission Giveaway has to offer. Are you a blogger that would like to participate in Mission Giveaway? Find out how you can join us. Find our official Terms and Conditions on the Madame Deals Media page.